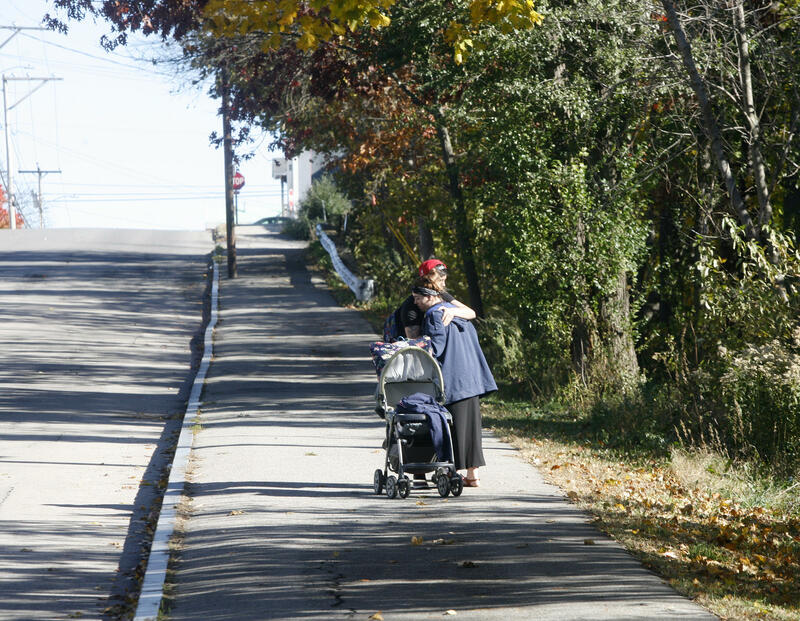 After Pendleton's death, NHPR's Emily Corwin requested eight data sets containing details of the population at Valley Street. These reports included inmates’ names, charges, race, conviction status, and bail amounts. Over the course of a year, reporting from this dataset revealed that Pendleton’s death was the only uncommon part of his story. The data shows a bigger racial disparity in arrest and jail rates in New Hampshire than in the nation as a whole. It also reveals that Pendleton was just one of many people incarcerated for minor crimes because they can't afford bail. While reporting the bail story, Emily also discovered Michael Treadwell, a man who has spent years in jail for little more than trespassing. His story shows when people don't get the help they need, taxpayers can get left with a hefty bill. Hillsborough County's jail sits on the corner of Willow and Valley streets in downtown Manchester. Blacks and Hispanics make up less than 5 percent of New Hampshire’s population, but account for 9 percent of the state’s arrests. That racial disparity increases when you look at the jail population in New Hampshire. For example, drug crimes are the most common type of offense for which people end up at the Hillsborough County jail. While whites make up 83 percent of those arrested for drug offenses in the county, they are only 69 percent of those incarcerated while awaiting trial. Disparities in New Hampshire's criminal justice system are especially notable for black people. Nationally, blacks are 3.5 times more likely to be in jail than whites. 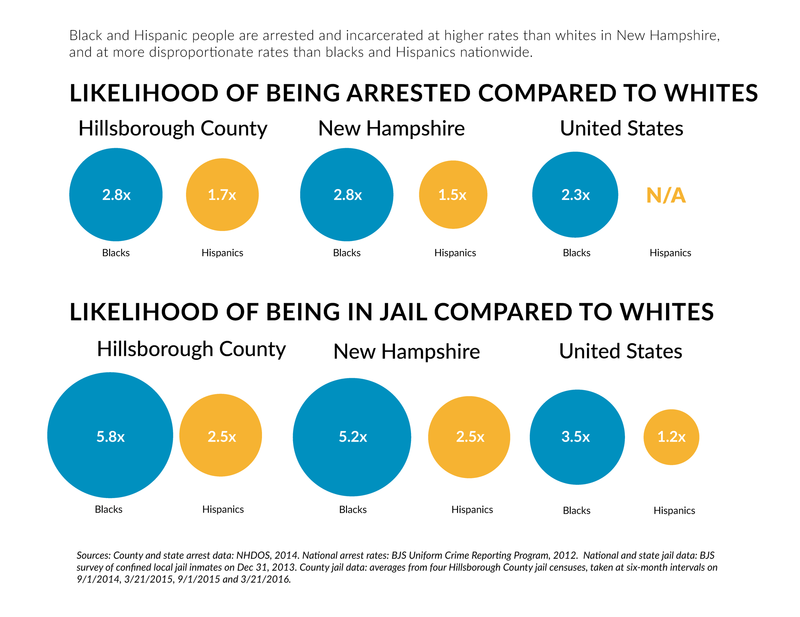 In New Hampshire, blacks are 5 times more likely to be in jail, and in Hillsborough County – the most populous and diverse county in the state – they are nearly 6 times more likely to be in jail than whites. Little research has been done in New Hampshire around race and the state's 10 county jails, which are run by county governments. No comprehensive data is available regarding these jails’ populations. But data provided to NHPR by the Valley Street Jail in Hillsborough County allows a glimpse into the details of who is incarcerated here, and why. When first presented with data indicating disparate arrest rates in Hillsborough County, Willard suggested offenses committed in Manchester by people of color from across the Massachusetts border were skewing the data. He provided NHPR with his department’s arrest data, which includes offenders’ city of residence. That data, from 2014, shows black residents of Manchester are three times more likely to be arrested than white residents: a more disparate rate for blacks from Manchester than overall in Hillsborough County. Listen: Morning Edition's Rick Ganley and Emily Corwin discuss the story, and what might cause racial disparities in criminal justice. 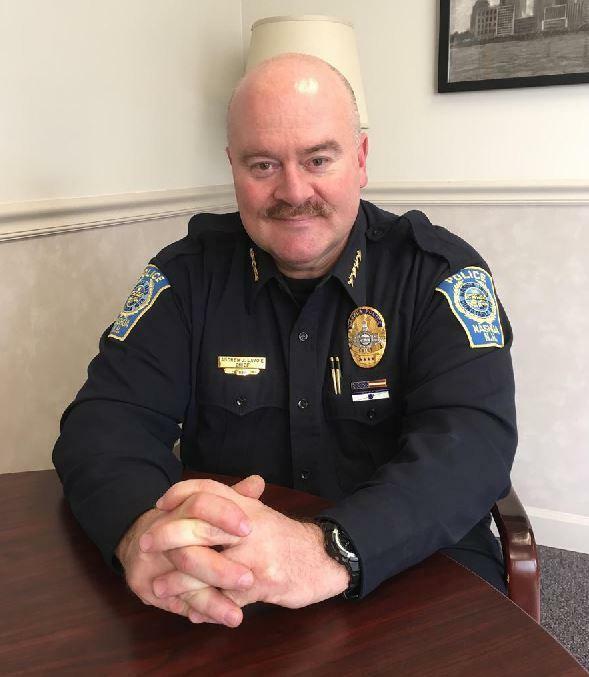 Hear from Manchester NAACP president Woullard Lett, Manchester Police Chief Nick Willard, and Nashua Police Chief Andrew Lavoie. This data comes in the midst of national strife around criminal justice and minority communities. Although cities in New Hampshire have not been in the national spotlight for police conduct, the data indicates that the state’s criminal justice system contains inequities that are similar to those in communities nationwide. The police, however, are just the beginning. State law requires judges to release defendants on personal recognizance unless the judge or bail commissioner “reasonably” concludes that person is a threat or a flight risk. 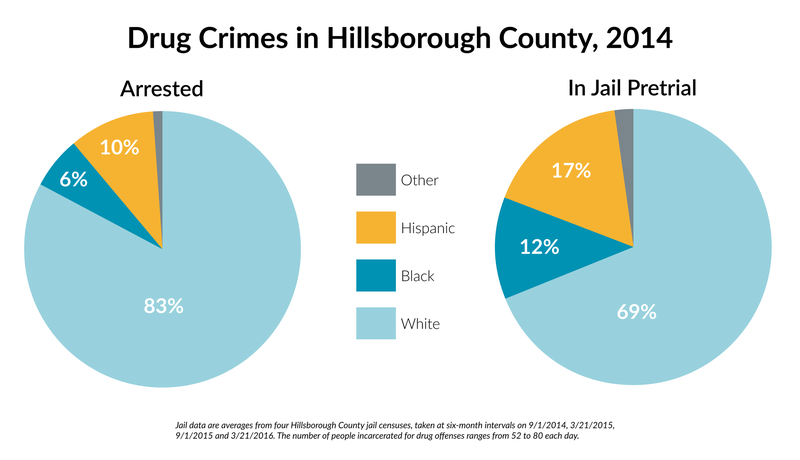 While blacks and Hispanics make up eight percent of the Hillsborough County population, they make up 16 percent of county arrests, and 27 percent of those who are locked up while awaiting trial. Population numbers for those incarcerated in Hillsborough on charges other than drug, theft, and assault offenses are relatively small. Still, the common charges for which people of color are most over-represented while awaiting trial are criminal threatening, assault, and resisting arrest. 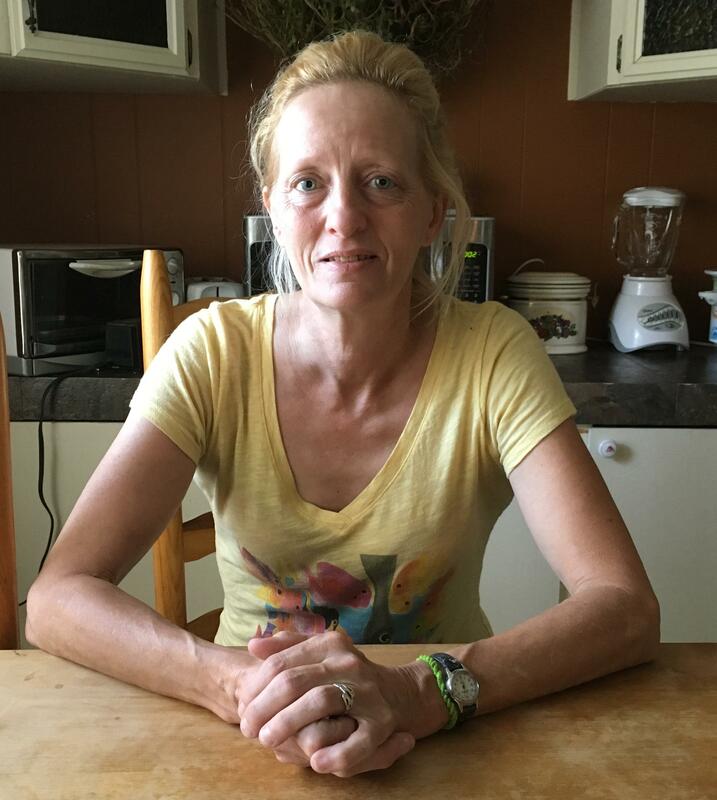 “Being subjected to pretrial detention, particularly if the individual is low-income and committed a nonviolent offense, like a drug offense, it can cause job losses, evictions; it could cause issues with custody of children,” Bissonette said. Because New Hampshire’s non-white population is increasing, Bissonnette said, the ACLU will be committing more resources to racial justice issues. Hillsborough County House of Corrections, known as the Valley Street jail, is located in downtown Manchester. Kelly said he tells the state’s 47 full and part-time Circuit Court judges to “strip away every conceivable bias that they may have,” whether it’s about people with addictions, poor people, or something else. It’s been years, however, since judges have had any training on the matter. Kelly said that now that the issue is in the news – and because New Hampshire has many new judges -- he hopes to have more bias-training for judges. 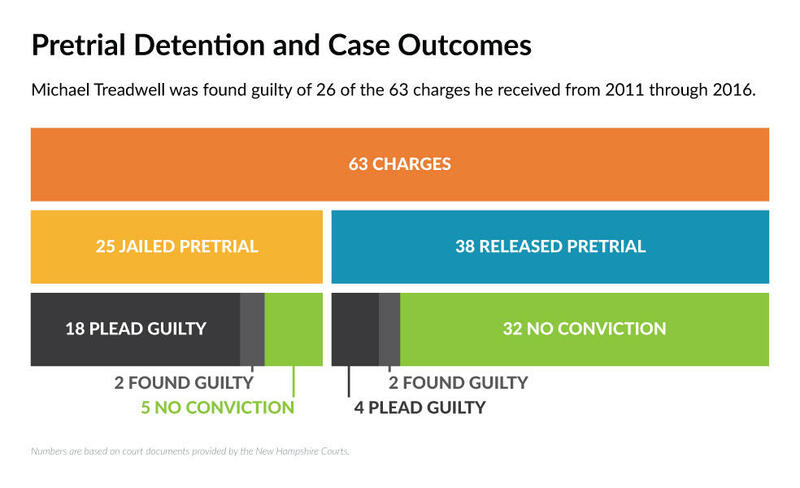 There are efforts in New Hampshire to reduce inequities in the justice system. In addition to requiring more bias-training for judges, Kelly is considering bringing computer-based risk-assessment tools into practice. These are not a panacea, however. ProPublica has shown these tools can also be biased against blacks. New Hampshire does have a coordinator and committee dedicated to reducing contact between juveniles of color and the criminal justice system. Andrew Smith has spent the last five years working to reduce arrests and encourage diversion among justice-involved youth across the state. 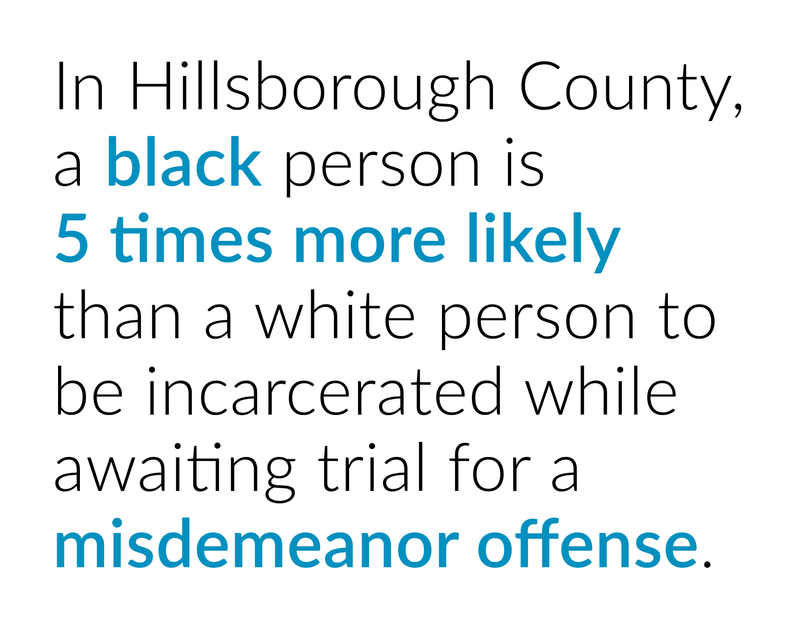 Over the last few years, he's had some unusual, quantifiable success reducing contact between kids of color and the justice system in Hillsborough County. In Nashua, police have had a particularly negative reputation among minorities in years past, according to NAACP officials. After a new chief was appointed in early 2015, however, officers and a committee of residents began meeting monthly to build trust. Read our methodology to see how we crunched the numbers. Return to the series menu. Chris Webber was in jail on a couple hundred dollars cash bail the day his daughter was born. He wasn't there because of his trespassing and resisting arrest convictions. He was there because he misses court dates, and he's poor. In fact, Webber spent a total of 60 days last year at the Valley Street Jail in Manchester for those two reasons. I met Webber in October at the jail. He was being held on $500. What money he has, he says, he needs for “formula, diapers, and wipes. Not me getting out” of jail. 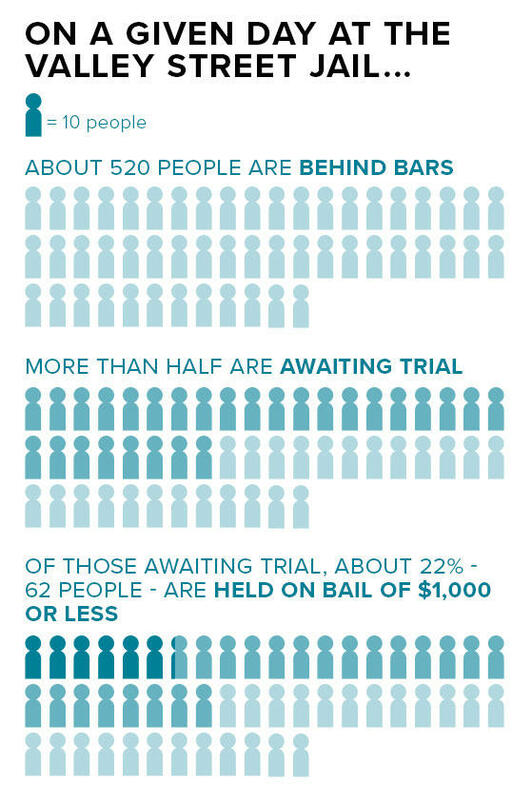 36: On an average day, this is the number of people held on bail of $1000 or less for nonviolent offenses only. Webber is one of the dozens of people detained each day at the Valley Street Jail, kept behind bars because they are unable to post bail of $1,000 or less. According to NHPR's analysis of data from the jail, typically 60 percent of these people are charged with only nonviolent offenses like drug possession, theft, trespass and resisting arrest. Because of their inability to pay even relatively low bails, many will spend more than a month behind bars awaiting court dates. State law requires judges to release defendants before trial unless they pose a danger to the public or are deemed unlikely to show up for court. Money bail is designed to give those considered a flight risk an incentive to return for court. But even those tasked with setting bail say the system means poor people are more likely to be held in jail before trial, while affluent defendants get released -- even if those defendants have identical criminal records. Data provided by the Valley Street Jail and analyzed by NHPR. Inequity in the bail system is compounded by economic disparity outside the courts, experts say. 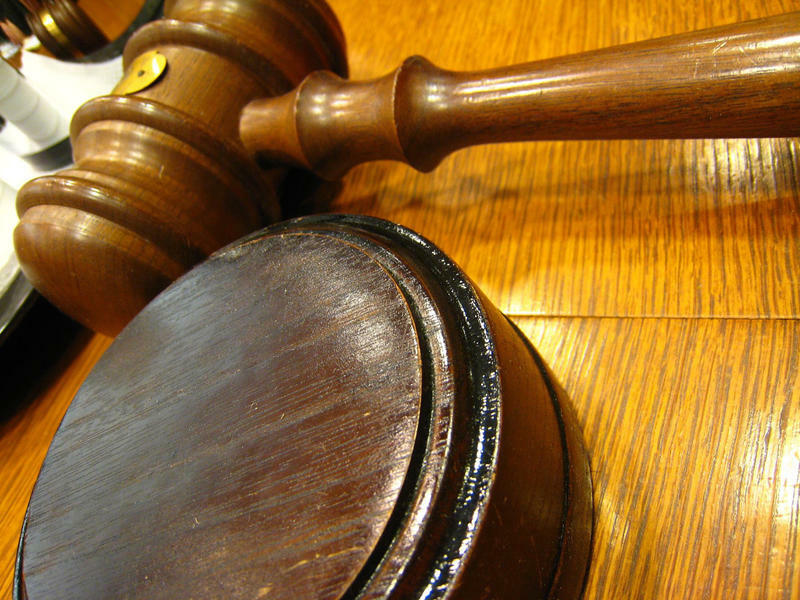 Poor people are more likely to move residences and miss scheduling notices from the court. Some need transportation, and others may lack the skills and resources to keep track of appointments. “They aren’t generally trying to skip town,” Nadeau said. According to his police report, Webber’s resisting arrest charge came about when police were searching for a girl who was missing from the juvenile detention center. Police found the girl with Webber, then 17, in a parking lot. The two saw the officers and took off running. Webber continued to run after an officer called for him to stop. After he was arrested on a resisting arrest charge, Webber was released on his own recognizance. He pleaded guilty, and received a deferred sentence, meaning he wouldn’t go to jail so long as he stayed out of trouble for six months, and completed 20 hours of community service. It was after those six months had passed that Webber failed to appear for his mandatory deferred sentence hearing. Cathryne Sprince must care for her and Chris Webber's daughter alone, while Webber waits in jail on $500 bail. Like many held on low bail, Webber’s record – trespassing and resisting arrest – is limited to low-level non-violent offenses. If he had the money, Webber could get out, said Cathryne Sprince, who was caring for Webber’s and her infant daughter. He doesn’t. In the meantime, his inability to post bail meant Webber missed his infant daughter’s birth. “She’s gonna know when she’s older that her dad wasn’t there,” Sprince said. Being locked up has consequences for inmates and their families. It can cause job losses, evictions, and loss of child custody. This is true, said Devon Chaffee with the New Hampshire ACLU, even in cases where the charges are ultimately dropped. Research shows incarceration, even just for a few days, increases the likelihood someone will commit additional crimes. For those detained pretrial, it increases the likelihood a defendant will be found guilty of a crime, plead to a charge, and be sentenced with incarceration. Holding people in jail also comes at a public cost. 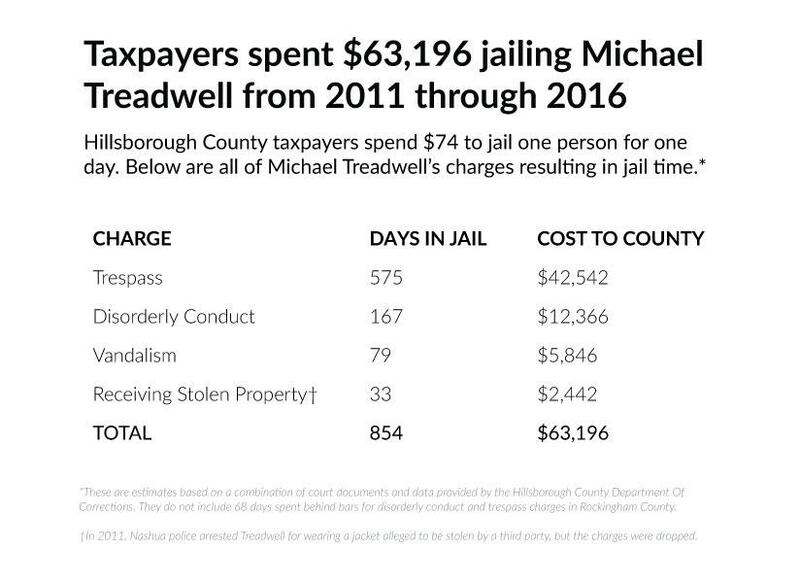 Hillsborough County taxpayers spend $73 dollars a day for each person held at Valley Street Jail, including overhead. The jail’s superintendent, Dave Dionne, would like to see low bail eradicated. And yet, Judge Nadeau said, money bail is the only system most New Hampshire judges have to make sure even low-level defendants appear. “We’re using a lot of resources continuing hearings, having witnesses and folks come back to court because the offender’s not appearing," she said. Chris Webber reconnected with Cathryne Sprince and their daughter, after the court date he was being held for took place. Some courts are trying other ways to get defendants to show up. In New York City, defendants now receive text-message and phone call reminders about court summons. A Manhattan court’s pilot program allows defendants to appear anytime during a specified week, including a day with extended evening hours. 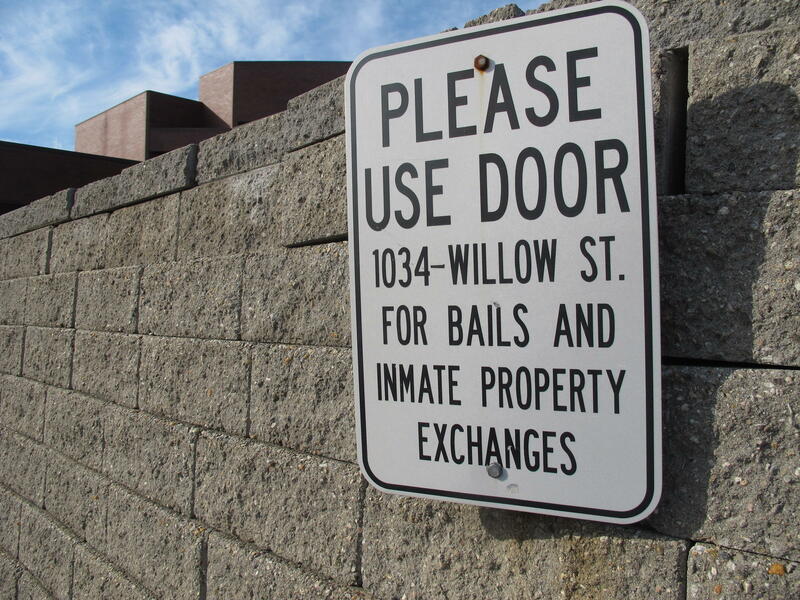 Others are looking to change the bail system more fundamentally. Washington DC has eradicated money bail altogether. Instead, the city relies entirely on pretrial supervision – like a parole officer, except for people awaiting trial – to keep track of defendants before trial. Although all New Hampshire counties use money bail, Strafford, Merrimack, Rockingham and Sullivan counties also fund pretrial supervision for some defendants. If Nadeau had her way, lawmakers would agree to fund a statewide pretrial supervision program. Nadeau is not the only one in favor of statewide bail reform. 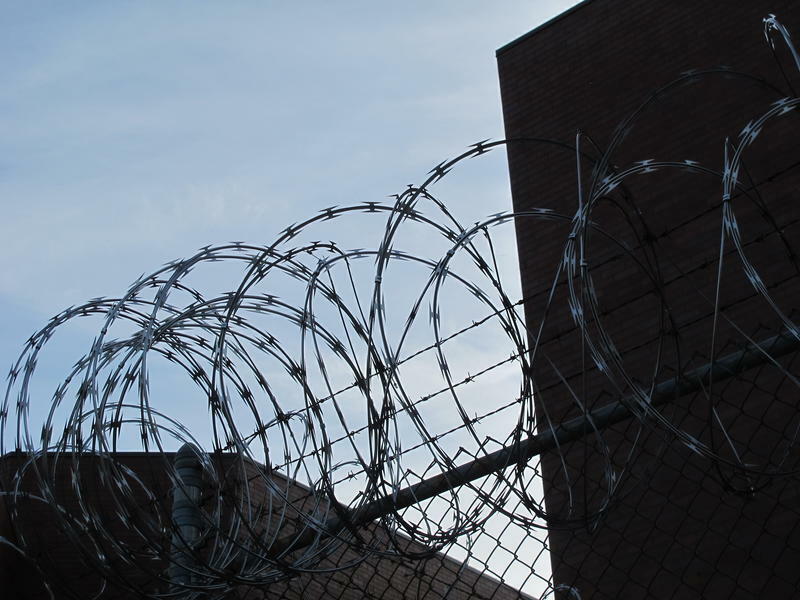 The 24-member Interbranch Criminal and Juvenile Justice Council, which includes the NH ACLU, has decided to make bail reform a priority over the next few years. The path forward, however, is not clear. According to NH ACLU’s Chaffee, the first step is to establish who is held on bail now, and why. “If New Hampshire’s really going to consider bail reform seriously, then we need to have a sense of what the baseline is so we can evaluate the impact of any reform measures,” she said. A report commissioned by the New Hampshire Department of Justice last year attempted to gather such data. 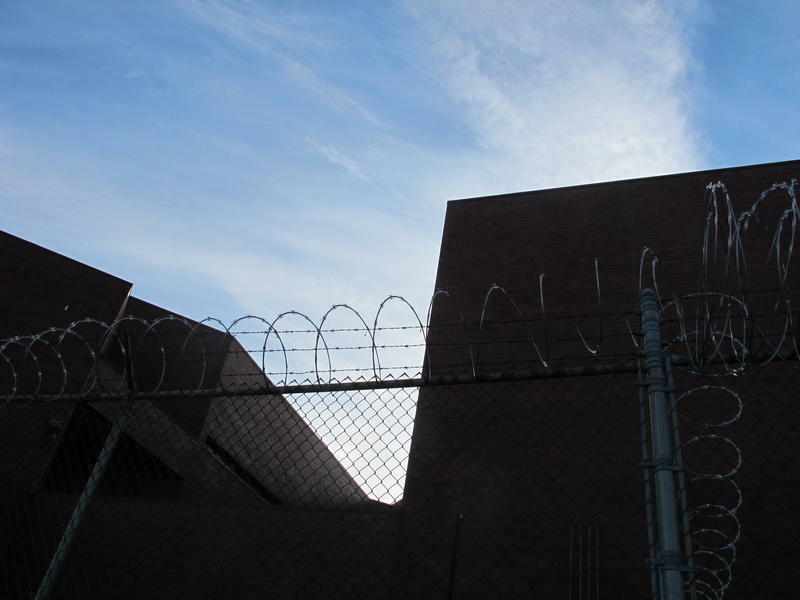 However, inconsistent jail software meant the study covered only 60 percent of the state. In the meantime, defendants who can afford bail, go home. The rest, including Chris Webber, will spend months behind bars waiting for trials and hearings. Michael Treadwell, at a coffee shop in Manchester, NH. Michael Treadwell sat at the back of a courtroom. In a windbreaker and khaki pants, he leaned over his work boots, elbows on his knees. At first, I thought he was chewing gum – a bold choice in a courtroom. When we began to talk, I discovered it wasn't gum Michael was chewing. It was his own gums. Michael doesn't have any teeth. I had been looking for Michael, 53, since I came across his criminal record. I was reporting on the way poor people are jailed for minor crimes because they can’t afford bail. Michael, I discovered, had spent a total of 854 days in jail over the last six years.His charges all come from some combination of being homeless and getting drunk. In those six years, the county had spent over $63,000 locking him up. I wanted to know how a man can spend so much time in jail for such minor offenses. I watched Michael plead guilty to a charge of public urination. Then, we walked in the rain through the city. There are many forces shaping how people end up in jail. Substance abuse, mental health issues, and economics are all at play. 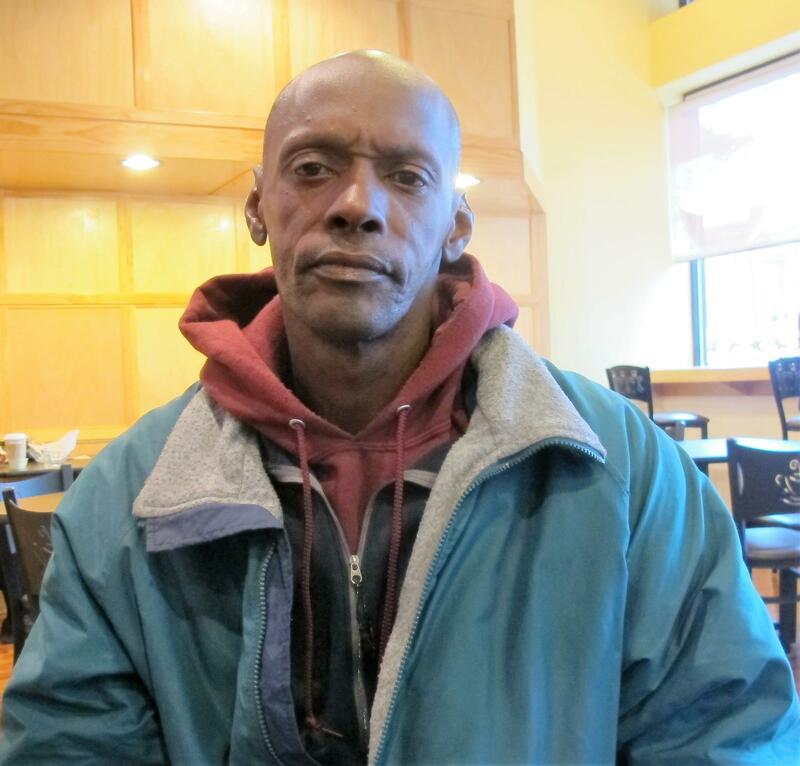 Michael's story shows us when people like him don't get the help they need, tax payers can end up with a hefty bill. Here's a random sample of his criminal record, from a few months in 2015: Trespass in an apartment building; spend 30 days in jail. Bother customers at a restaurant; spend 42 days in jail. Panhandle aggressively; spend 30 days in jail. There are charges for drinking in public; loitering; and urinating on buildings, all in just a few months. For years, this cycle from the streets to court to jail repeats and repeats. Since 2011, Michael’s most serious convictions are two acts of vandalism. Once, according to police, he damaged a truck bumper with a piece of wood. Another time, he pulled a rain spout off a police building. For that, he spent six months in jail. Mostly, Michael gets arrested and then jailed for trespassing. Combined, he’s spent more than a year and a half in jail on that charge alone. More than half of his charges end up getting dropped – but often not until he’s spent days or weeks behind bars. Michael did time for drug charges in the early 1990’s, but after that he stayed on the right side of the law for nearly two decades. He worked as a trucker, and said he longs to drive trucks again. He had two teenage daughters, and got married. His ex-wife, Sherri Treadwell, still speaks of him tenderly. Although they divorced in 2007, Sherri pays Michael’s cell-phone bill, and coordinates meetings between him and his daughters. Sometimes, she said, he shows up drunk. According to Sherri, the drinking, the homelessness, and arrests are all symptoms of something bigger: his mental illness. A year or so into their marriage, Sherri said, Michael started to change. He thought people were listening in on his conversations, bugging the telephone. “He would whisper to me in the car ’shh, the car is bugged!’” Sherri said. Michael turned to alcohol to cope, and eventually, Sherri asked him to leave. Michael hasn’t been without help. Copeland said Michael needs to be admitted somewhere than can address his drinking and the voices in his head, at the same time. Really, she said, he needed this decades ago. According to the Bureau of Justice Statistics, 64 percent of jail inmates nationwide have mental health problems, and 76 of those also abuse drugs or alcohol. She’s tried to get him into the state mental hospital. Three years ago she thought the moment had finally come. A judge ordered that he be taken to be evaluated for involuntary commitment. The jail had Michael ready to go, and the hospital had a psychiatrist available. Nit the Sherriff never got the memo. He was supposed to take Michael from the jail to the hospital. By the time the Sherriff finally did take Michael to the hospital, Copeland said, the psychiatrist had left. Copeland says the jail wouldn’t coordinate another visit. Instead, Michael continues to cycle from the streets to courthouses to jail cells and back again. He’s not the only one. According to the Bureau of Justice Statistics, 64 percent of jail inmates nationwide have mental health problems, and 76 of those also abuse drugs or alcohol. New Hampshire in particular has an abysmal track-record when it comes to mental health. Four years after a lawsuit and $30 million settlement, there is still a month-long waiting list at the state mental hospital. 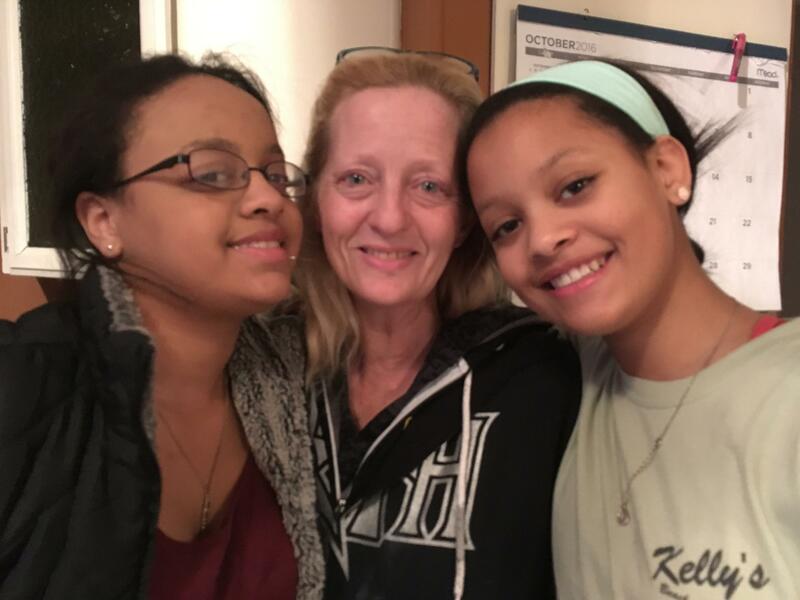 Sherri Treadwell and her daughters Mary (left) and Sarah (right), at their home. The last time I talked to Michael, he told me he wanted to go down to South Carolina, where he grew up, in order to get his trucking license back in order. I recently checked in with Sherri. And she told me, he had gotten to South Carolina. He'd called her from a jail there. There’s to be no more kissing, and no hugs lasting more than three seconds in New Hampshire’s prison visiting rooms as of this week. The policy change is part of an effort to curb rampant drug smuggling into the prison. As immigration officials ramp up deportation of new classes of unauthorized immigrants, more residents and visitors without documents fear run-ins with police. On New Hampshire's diverse Southern border, a traffic stop in one town could lead to very different consequences than the same kind of stop one town over. 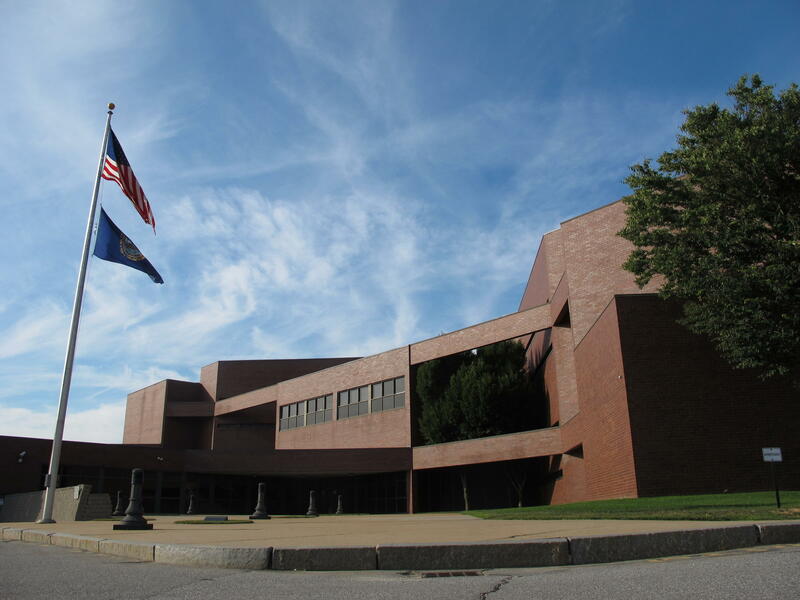 It’s been exactly one year since the New Hampshire Courts began a major change in how felonies are prosecuted, and the state's Judicial Council has delivered it's first progress report. Traditionally, each felony offense had to make its way through two courts: local courts, with police prosecutors, then superior court, with county prosecutors, before it could be resolved. Many say this means cases cost more and take longer to resolve than they need to.